Gymja Warrior isn’t just for kids! We offer adult and family gatherings for parties of up to 60 at both our Danvers and Woburn locations, with alcohol* and food optional. Gymja Warrior is the perfect venue to bring your group together for a unique and fun experience. 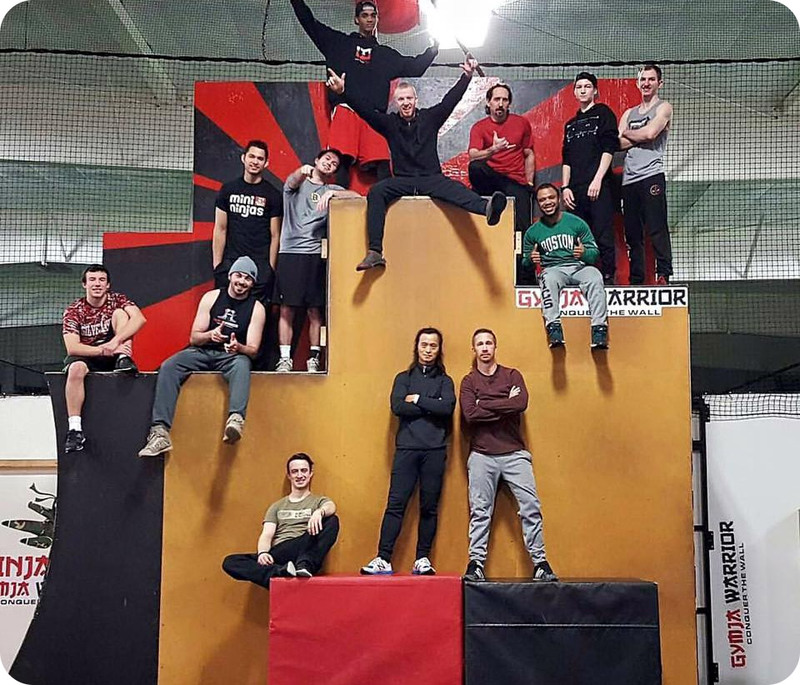 Your group will be introduced to one of our amazing programs while testing their body strength in fun, challenging ways, or by simply enjoying the visually exciting and creative moves and techniques of our coaches, who are among Boston’s finest Parkour athletes. We can run Ninja obstacle, Parkour, Nerf parties or a combination! For more details email us at info@gymjawarrior.com or call!